(Seattle, WA) release date – Go Hog Wild at the 1st Annual Fremont BBQ Extravaganza & Neighborhood Party, a free neighborhood celebration. Anticipated draw of over 5000 people to attend this Northwest BBQ Association sanctioned competition, a benefit for the Fremont Arts Council Solstice Parade. Beer, wine and spirits available inside adjoining establishments: Roxy’s Diner, The BackDoor, Norm’s Eatery and Pete’s Fremont Fire Pit. BBQ Competition: Sanctioned by the Northwest BBQ Association, the 1st Annual Fremont BBQ Competition will welcome 12 BBQ teams to Fremont to compete for $2,500 in prize money and the honor of best BBQ Chef in the Universe!! Bagel Ring Toss: Not your everyday Ring Toss. These custom made bagels will be a challenge for all ages. More fun than a bucket of cream cheese. Costumed Dog Parade: Norm’s Eatery will sponsor a dog parade with fabulous prizes from Petapalooza. 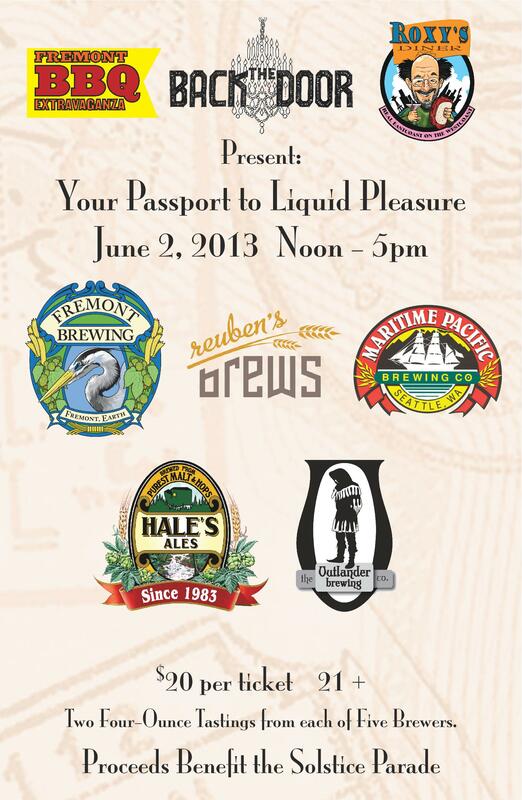 Local Beers and Spirits Tastings: Beer and BBQ or Spirits and BBQ??? You decide. Free Music Stage: Bluegrass to Rockabilly; on and off stage performances through the day.